To help people living in the Surrey Downs area who have Diabetes and those at high rsk of developing the condition. We organise events to provide information and to enable people with diabetes to meet and talk to others. We also fund raise to support our local work and in 2019 also aim to donate to research funded by Diabetes UK. 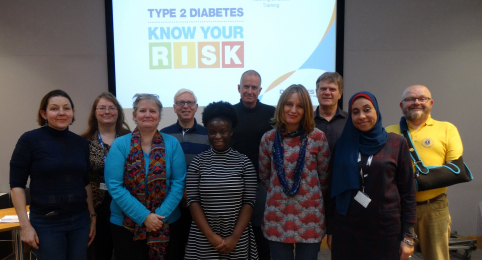 We work alongside Diabetes UK and as such share their goals and objectives. In 2019 we are prioritising "Know Your Risk" events and welcome contact from employers and community organisations who are willing to provide venues and audiences for us to interact with . 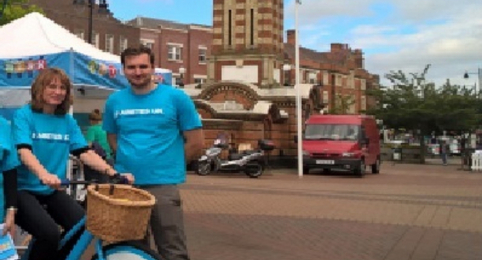 Everyone is welcome at our events regardless of their membership of Diabetes UK. We are currently looking for people to join the Surrey Downs Diabetes UK Group Committee. If you feel you have organisation skills and time to spare to help the Committee fulful its aims then please make contact.